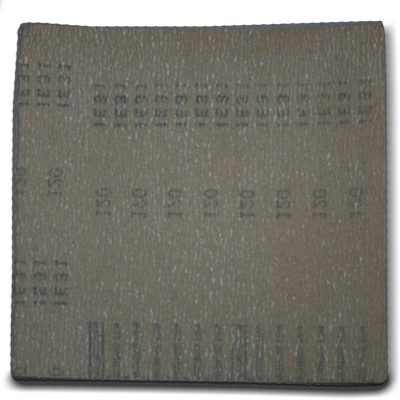 Large sticky-backed sanding square. Stick to a board or back of door. Use to smooth greenware and bisque items flat. Hold piece on sanding pad and gently make circular movements to get an even base. Dust mask recommended if working with greenware.